Boxcar Press is a proud supporter of letterpress printed short-run books. We offer a 10% discount for fine press work and encourage all printers to explore projects like this. Many printers are first introduced to book printing through their academic experience at college. It is very likely their instructors were members of the College Book Art Association (CBAA). Bridget Elmer, President of the CBAA, provides an overview of this organization and the numerous options to members and those interested in the printed fine press book. A relatively new art form, artists’ books constantly defy a clearcut definition, as do their makers. 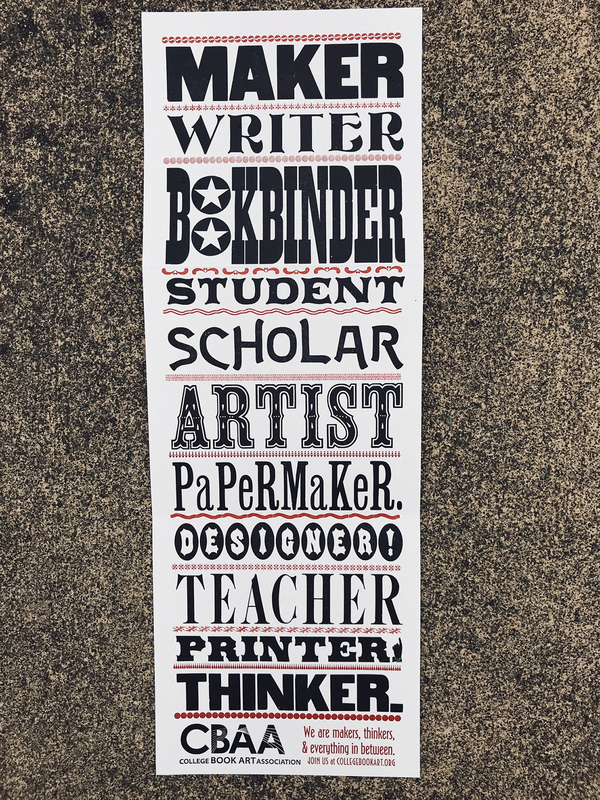 While some books incorporate letterpress printing for text and image, others might incorporate screen printing, hand lettering, digital printing, or no printing at all. Similarly, their bindings may be in a traditional codex format, a series of broadsides, or a one-of-a-kind altered book. Teaching students both the history and methods of making artists’ books is a unique and evolving challenge. 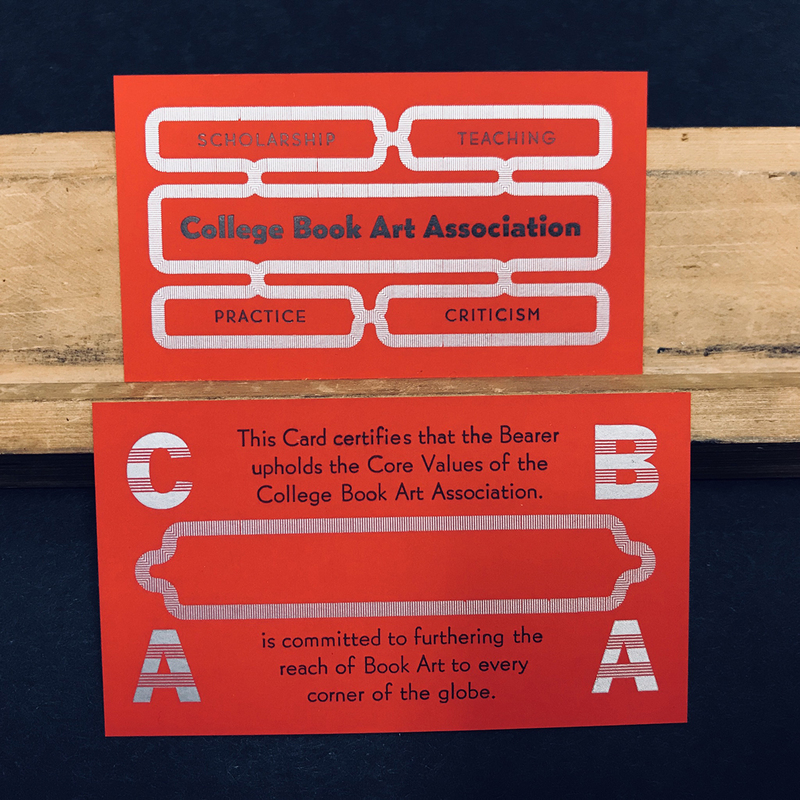 The College Book Art Association (CBAA) is a non-profit organization committed to the teaching of book art. The association strives to support education about book art, including both the practice and analysis of the medium. It welcomes as members everyone involved in teaching and all others who have similar goals and interests. In addition to the educational community of teachers and students, CBAA’s over 400 members include academic librarians, curators, independent scholars, museum professionals, international private collectors, and practicing artists. CBAA membership has many benefits, including project assistance and travel grants that are awarded to artists, teachers, and scholars, as well as scholarships for students and recent alumni that are co-sponsored by a growing list of partners including Arrowmont School of Arts and Crafts, Mills College, the Morgan Conservatory, Wells College, and Women’s Studio Workshop. CBAA fosters book art visibility and community engagement by organizing member exhibitions and regional events. CBAA also cultivates the expansion of book art criticism by publishing the scholarly journal, Openings: Studies in Book Art, and facilitates dialogue on the Book Art Theory blog. Finally, members have the chance to convene in person every year by attending CBAA’s annual meetings and conferences. In 2019, CBAA will hold their biennial meeting in Tucson, Arizona from January 4–5 at the University of Arizona. Themed The Photographic Artist’s Book, this meeting is an interdisciplinary landmark for CBAA—keynote speaker Christina de Middel will discuss the ways her work blends documentary and conceptual photographic practices, and discussion sessions will explore topics including Printing Photographic Images Using Letterpress. Participants will tour the UA Book Art and Letterpress Lab and a multi-venue exhibition of photo-based artists’ books will be on display at the Joseph Gross Gallery in the UA School of Art and at the internationally known University of Arizona Poetry Center. 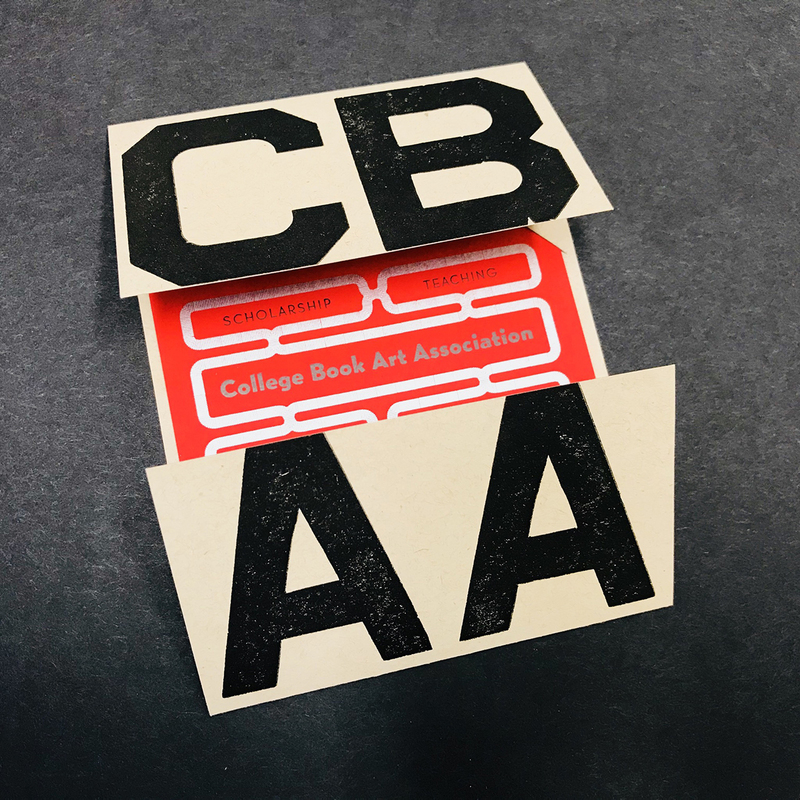 Registration opens soon for this exciting opportunity to learn more about CBAA and the history and contemporary practice of photo-based artists’ books. CBAA’s 2020 biennial conference will be held in New Orleans, Louisiana from January 2–5 and hosted by a dynamic collaborative of academic institutions and community-based organizations, including Tulane University, Loyola University, Baskerville, and Paper Machine, among others. With a theme of Intersections, the conference program will aim to expand the discussion of book arts and foster an inclusive field that embraces both academic and independent educational programs, welcoming ideas that come from all races, classes, genders, and levels of education.